Flashpoint is a trio of young musicians performing contemporary folk music rooted in the traditions of Ireland and Scotland. With a sound that is both sophisticated and spontaneous, they put on a stirring live show that is engaging to a variety of audiences. They have opened for some of the finest bands in the genre, including Solas, The Tannahill Weavers, and FullSet, and have performed with the likes of Liz Carroll, James Kelly, and Cormac de Barra. Their latest project, an EP titled “A Timely Misadventure,” highlights the unique and genre-blurring sound Flashpoint is creating for themselves, incorporating subtle elements of jazz, post-rock, Americana, and pop, but always in a tasteful manner that colors and enhances their background in traditional folk music. 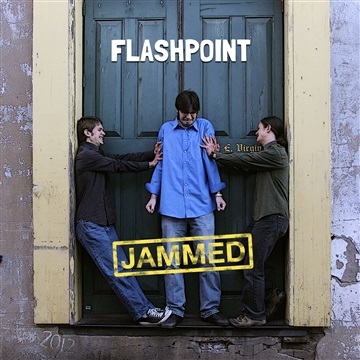 Flashpoint’s music is rich with a variety of instruments, featuring David Mehalko on fiddle, piano/keyboards, accordion, and lead vocals, Daniel Mehalko on banjo, mandolin, and flute, and Joseph Carmichael on guitar and whistle. The group began in the summer of 2009 when the three musicians met at the O’Flaherty Irish Music Youth Camp and performed for the first time at a local farmers’ market shortly thereafter. During the following years they honed their skills through performances at the North Texas Irish Festival, the Austin Celtic Festival, and countless other venues. In the winter of 2011-2012 they recorded their first album together, “Jammed,” a collection of instrumental tunes that was well received by fans, critics, and fellow musicians alike. 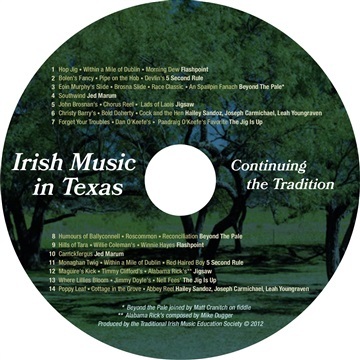 Subsequently, in October 2012 they recorded two tracks for a compilation album entitled “Irish Music in Texas – Continuing the Tradition.” Most recently they recorded an EP titled “A Timely Misadventure,” released in April 2014, which featured their first recorded vocal song along with four instrumental tracks. All told, Flashpoint is quickly establishing themselves as one of the top entertainers within the folk & Celtic music genres and is poised for success all across the United States.